The City of Worcester is governed by a Council-Manager, or Plan E, form of government with a popularly elected Mayor, 11 City Council Members and a City Manager. Located in the center of Massachusetts, between Boston and Springfield, Worcester is known as the "Heart of the Commonwealth." Read the many amazing news stories and press from all across the country that highlight Worcester! Learn more about Worcester's history at the Worcester Historical Museum. Discover Central Massachusetts markets Central Massachusetts as a competitive destination for travel and tourism; as well as conventions, meetings and events. Their vision is to establish Central Massachusetts as a destination that visitors recommend to friends and family; meeting and event planners prefer as a location for their events; residents are proud of; and investors seek out for development opportunities. 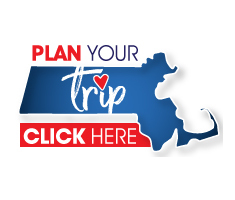 If you are planning a trip to Central Massachusetts, or simply looking for something to do while in the area, Discover Central MA has developed a new "widget" that provides an interactive map-based itinerary builder. You're sure to find something for everyone in the family to enjoy! Worcester is home to 9 colleges and universities. The Higher Education Consortium of Central Massachusetts allows member universities and colleges in the Greater Worcester area to share resources, provide diverse courses to students of other member schools and further expand the possibilities for students. With such a great educational prescence, Worcester's higher education industry is one of the City's proudest assets.